This product requires the base game Patrician IV. 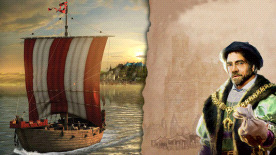 Patrician IV - Rise of a Dynasty brings a comprehensive package of improvements and new features to the best-selling Patrician IV including online multiplayer and new scenarios. Patrician IV is required to play this DLC.